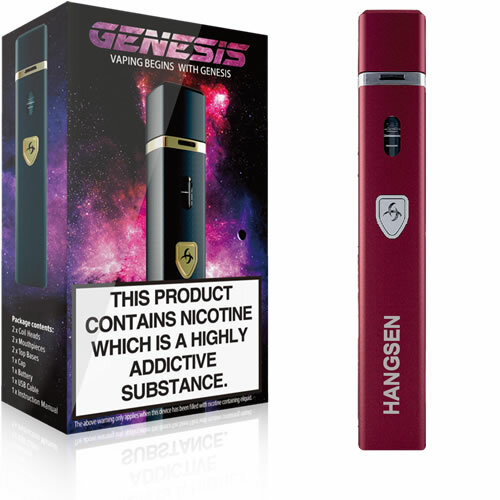 HS GENESIS - RED KIT buy from NUCIG UK. Lovely colour and the kit is very portable/light weight. Bundles of smoke produced and keeps me satsified. Well done nucigs for fast shipping next day ! Arrived promptly, good packaging and works really well. Especially like it is in a smaller factor than all those heavy kits out there. Excellent quality finish in red. Well designed and a lot of attention to design making this kit ideal for the first time user or anyone looking for a back up kit. 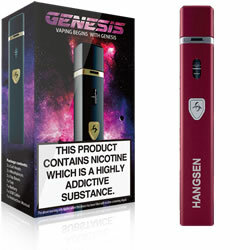 Service also good, have now ordered various eliquids from nucigs which also very good. I would recommend this as a good choice to new users. Lovely kit, easy to refill and use and fits perfect in my hand bag. The colour finish is of a high quality. Just be careful filling up - do not go higher than the marker line - otherwise it gets a little messy.